Divide the ingredients between the two tortillas. 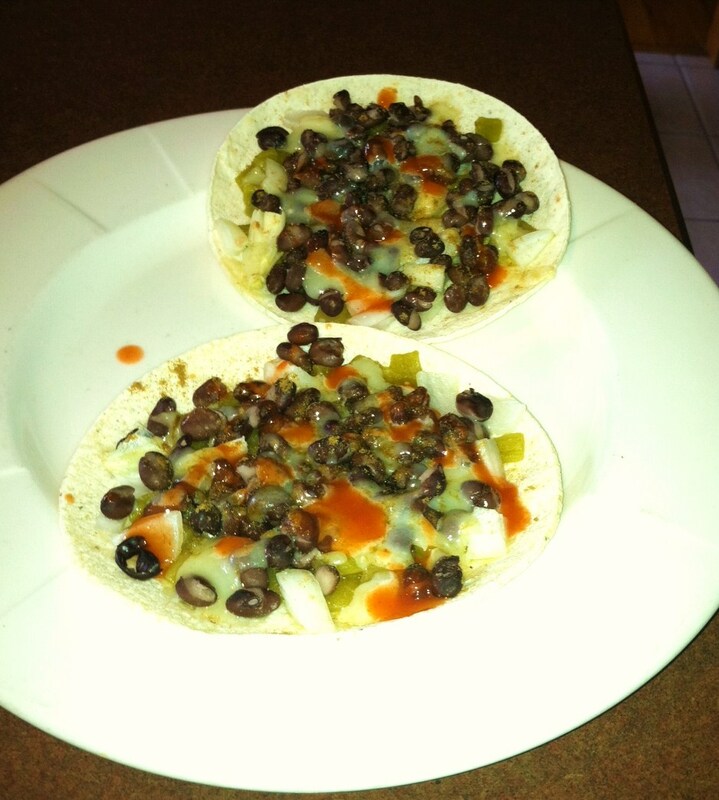 First, spread the chiles on the tortilla, then layer onion, black beans and cheddar in that order. Season with cumin & garlic salt (I’m sure other seasonings would taste great too). Broil until the cheese melts, then drizzle Red Hot if desired. So good and so spicy! I’m off to unload the dishwasher and then make carrot-raisin salad for a potluck at Shack! Posted on June 22, 2011 by Olivia FecteauPosted in UncategorizedTagged food, lunch, recipes.